Even though our family has been assisting the Venice community for more than 50 years, our tradition of service dates back to 1932. My grandfather, John J. Farley, embarked on a lifetime of funeral service by opening his own funeral home in Indianapolis in 1932. He soon recruited his father, Omer Farley, and his brothers to work alongside him. After he sold the funeral home to his brothers, he established the funeral home in Venice in 1962 along with the help of my father David and uncles, Joseph, Mark and Phillip. 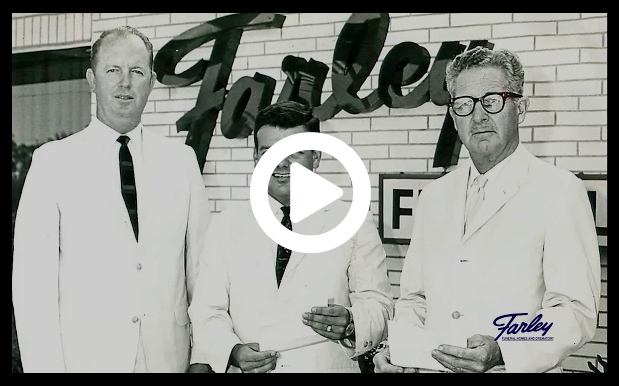 In 1970, the company expanded further and now operates a location in North Port. Our family’s dedication to compassionate service caused the company to grow, and in 1987, the Venice facilities of the Rawles Funeral Home were acquired. Today, the company is managed by myself and my husband John. We also live in the southern half of Sarasota County, making us the only locally owned and operated funeral homes, crematory and cemetery in the area. At present, there are six family members actively involved in serving the community through our funeral homes. We invite you to call or stop by to meet our family and staff. Our doors are always open to you.